Results – How is that cookie? Cobie Smulders runs like a goddess, doesn’t she? What a beautiful woman! The film is written and directed by Andrew Bujalski. It is due in theaters May 29, 2015. Damn I just fell in love with Actress Cobie Smulders: she looks really sweet in that sport outfit! The cast includes Guy Pearce, Cobie Smulders, Kevin Corrigan, Giovanni Ribisi, Brooklyn Decker, Constance Zimmer, and Anthony Michael Hall. The release date of Results is set to May 29, 2015. Have you ever tried one of those huge exercise balls? How should I chose one? And what is the best brand? 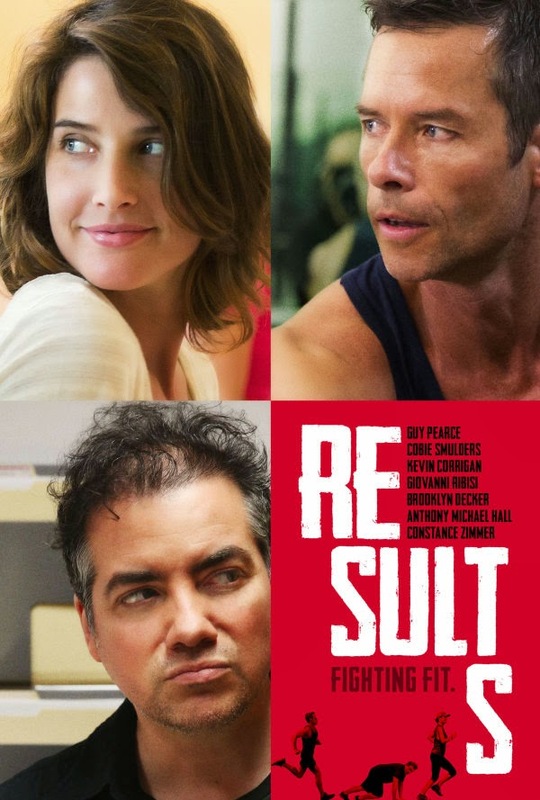 “The film revolves around two mismatched personal trainers, Trevor (Guy Pearce) and Kat (Cobie Smulders), who surrender to love, propelled by the actions of a newly wealthy client, Danny (Kevin Corrigan). Guy Pearce and Cobie Smulders do make for a lovely couple on screen, don’t they? Andrew Bujalski on his film “Results,” which premieres in the U.S. Dramatic Competition at the 2015 Sundance Film Festival. Besides Guy Pearce and Cobie Smulders, the cast also includes Kevin Corrigan, Giovanni Ribisi, Anthony Michael Hall, and Brooklyn Decker.